Sergey Sorin, M.D. is a board certified Physician and President/Medical Director of International Institute of Holistic Medicine with extensive experience in Urgent Care, Occupational Medicine and Emergency Medicine. He has served as Medical Director at the Bath, NY VA Hospital and Director of a Physician Weight Loss and Wellness Center and of a Surgical Weight Loss Practice. After a life-altering diagnosis and successful treatment of colon cancer in 2007, his focus has been on the broad field of Holistic Medicine. He has specialized in the use of Sound Health and Medicine, founded Samvit Wellness and serves as a Facilitator and as a member of the Monroe Institute Professional Division. He is currently President and Medical Director of the Shealy-Sorin Wellness Institute, the world’s premier Holistic Clinic continuing the work and legacy of C. Norman Shealy, M.D. Ph.D, developer of TENS, spinal cord stimulation, Biogenics and Transcutaneous Acupuncture. Are You Really Healthy? (The Power Principle), December 2012. "The Power Principle: Mind-Body-Spirit Approach to Ultimate Weight Loss." Articles on nutrition, health and wellness for NYTOA (New York Tactical Officer’s Association), various newspapers and media. Co-Author of "30 Day to Self Health"
He is co-Host of the 29 year Shealy Wellness radio show on KWTO in Springfield, MO. There’s the KWTO radio shows, THURSDAYS, at 2:00 p.m. US Central Time. Sergey Sorin, MD, a renowned healer, educator and author began his career in traditional medicine studying the fields of Family Medicine, Urgent Care, Occupational Medicine and Emergency Medicine. He earned his degree from SUNY Health Sciences Center at Brooklyn School of Medicine. Even during his training (and since early childhood as far as he can remember), Dr. Sorin was always interested in the holistic approach including focusing his education and giving grand rounds and other presentations on the Non-Conventional modalities including meditation and "Complementary and Alternative Medicine" modalities. Dr. Sorin has been the recipient of the Kalberman Award for Excellence in Chemistry and has an advanced certificate in Health Care Management from SUNY Health Science Center at Stony Brook University. He has served as a Medical Director at Veteran’s Administration Hospital in Bath, NY as well serving in administrative capacity at Delphi Healthcare. In 2006-2007, following his longstanding interest in wellness, he founded a Physician Weight Loss and Wellness center and also served as a Medical Director for a Surgical Weight Loss Practice. After a life-altering diagnosis of colon cancer in 2007, which turned his life and perspective around on a spot, Dr. Sorin began to apply his knowledge of the Mind, Body and Spirit in his personal and professional life. Dr. Sorin credits this event in his life, with starting to become fully awake and mindful, including of the essential nature of the Body, Mind and Spirit in a person's life. While undergoing chemotherapy in 2007, he started working on his first book in the Power Principles series focusing on the bigger picture when it comes to weight management, especially with regard to mental/emotional and spiritual aspects, published in 2008. Another book followed after that in the Power Principle series: "Are You Really Healthy? ", released in December 2012. He continued working with Power Principles LLC from 2008 till 2014, while embracing the next phase of his journey, when in 2013 Dr. Sergey Sorin’s search for deeper meaning and purpose in his life, brought him across another physician, Dr. Brian Dailey, a long-time veteran of the Monroe Institute (TMI) and a true healer, Reiki Master and "out of the box" thinker. In the process of expanding his horizons and working with similar minded organizations, Dr. Sorin (as well as Dr. Brian Dailey) became certified as a Monroe Institute Workshop Facilitator and was invited to join the Monroe Institute’s Professional Division. Since then he serves as an Advisory Board member and is on the Institutional Review Board for Research Development at the institute. In 2013, Dr. Dailey and Dr. Sorin started Samvit Wellness LLC focusing on the healing and scientific use of Sound (starting from the foundations based in the Monroe Institute), including Binaural Beats and Gamma Technology for a wide range of human applications from managing pain, anxiety, depression, chronic illness, relaxation, sleep and other common issues as well as optimizing human potential in terms of physical, mental and emotional as well as spiritual aspects. Together, Dr. Brian Dailey and Dr. Sergey Sorin as part of Samvit Wellness, have given many presentations in addition to doing multiple workshops, including National as well as International, utilizing Sound and other Healing Modalities as part of the Holistic Perspective. In April, 2016 while giving a presentation and workshop in Kansas City, MO, Dr. Sorin met and subsequently joined forces with one of the world’s leading experts in pain, anxiety, depression and chronic disease management, Dr. Norm Shealy. This was a welcome and natural progression for Dr. Sorin given his lifetime interest and especially focused training and attention since 2007 Colon Cancer experience. Since then, Dr. Sorin joined Dr. Shealy in Shealy Wellness (www.ShealyWellness.com). He also joined Dr. Shealy in a one of a kind Holistic Clinic, The International Institute of Holistic Medicine, located in Springfield, MO including providing clinical services as well as long distance consultations, and engaging in a week-long Intensive, Central Nervous System Retraining and Rehabilitation Services, together with Dr. Shealy as a treating physician and President, while still learning and collaborating with Dr. Shealy based on over four and a half decades of Dr. Shealy's groundbreaking and legendary work in the field of Holistic Health. As part of his work with Shealy Wellness and the International Institute of Holistic Medicine, Dr. Sorin works with Dr. Shealy in holding workshops, holistic coach training, as well as giving talks and presentations in addition to clinical work. In 2017, Dr. Shealy and Dr. Sorin have put together the 1st International Holistic Health Summit, in Kansas City, Missouri, same place as their first meeting 1 year prior. 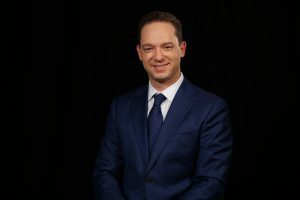 While his main interest and professional effort has been in the field of Holistic Medicine, Dr. Sorin continues to work in the field of Emergency Room and Health Care Consulting. He is also involved with research and health related product and service development in association with Dr. Shealy and the Missouri State University.